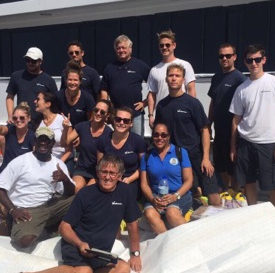 How to do you get aid to Dominica fast - take it in M/Y Va Bene of course! Town runs, Digicel and deckers agency, event organizing and day charter service special this summer. Antigua has a new high-end super yacht concierge service based at Falmouth Harbour Marina.